KARLUK (1914) The Stefannson Arctic Expedition brigantine Karluk was trapped in the ice in August of 1913 while travelling to Herschel Island in the Arctic. She drifted in the Beaufort and Chukchi Seas and eventually was crushed by the ice and sank. The crew and expedition staff survived on the ice and made their way to Wrangell Island months later. 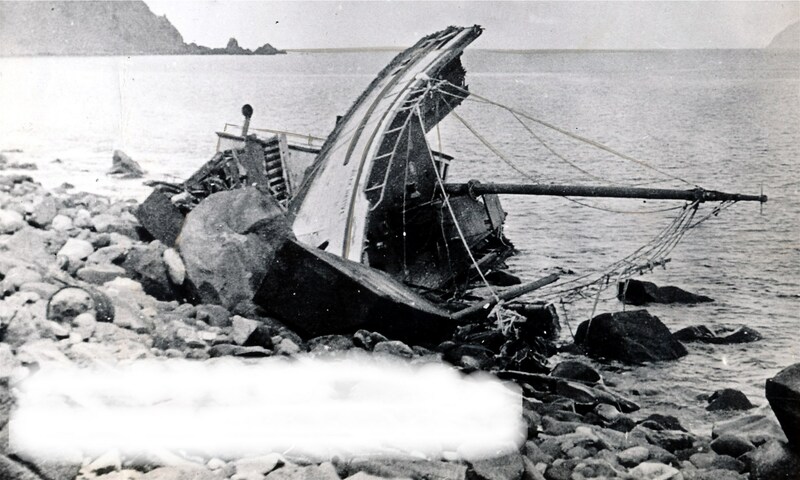 Eleven men perished before they were finally rescued by the vessel King & Winge in September of 1914.